Until today, the only way to get a premium Apple Watch Hermès band was to buy the band and watch together from the Apple Store, or buy a very-similar (and cheaper) knockoff band and pretend it is genuine. It was also only offered in one color, fauve brown. That is all about to change however. Apple has announced that it will soon start selling Apple Watch Hermès bands standalone and in several new colors. Apple’s iPhone 6c, set to be the first iPhone ever released in the Spring, has got the die-hard 4-inch iPhone fans excited for a return to the smaller form factor smartphone. From what we’ve heard, the iPhone 6c may have new colors that resemble an iPod Touch as much as it’s said to resemble the current crop of iPhones in terms of the physical design. This mockup imagines what the iPhone 6c would look like with iPod and iPhone colors, rounded edges and iPhone 6/s design. A recent report from KGI anticipates an A9 processor, 16GB of storage, NFC, Touch ID, and 2GB of RAM internally, which will make it extremely fast, especially with the fewer amount of pixels to push compared to Apple’s larger iPhones. Many, including China Times, expected the iPhone 6C to be released last year, but KGI also was the first to suggest a H1 2016 launch. A series of Chinese reports noted that a larger 1,642mAh battery is in the cards for the 6C– an upgrade from the battery in the 5s– but support for 3D Touch is likely not. That’s a feature Apple will likely want to reserve as a highlight feature of its flagship handsets for some time. And the reports again suggested that the 6c will get Touch ID and an NFC chip to support Apple Pay. Our Mark Gurman exclusively reported that Apple would be having a March 2015 event where Apple Watch 2 would be revealed and an iPhone 6c would be a likely second billing. We don’t expect the iPhone 6c to have an OLED display, though it seems like Apple is moving in that direction on its flagships. 9to5Mac has been reporting that Apple was planning some cosmetic updates to the Apple Watch, including new Sport bands and a gold aluminum Apple Watch Sport, for some time. A few hours ahead of Apple’s event, an image has appeared on Twitter depicting what appears to be a Product (RED) Apple Watch Sport band. To date, Apple has offered Apple Watch Sport bands in white, black, green, blue and pink. Earlier in my reviewing career, I always tried to estimate the likely audience for products I tested: was an accessory likely to be universally appealing, somewhat popular, niche, or poorly received by virtually everyone? Many reviews (and reader comments) later, I learned there was at least a small audience for virtually anything, and conversely, that some people found reasons to dislike even the best-designed and best-reviewed products. I eventually concluded that there is no such thing as “universally appealing” or “universally bad” — just products for different audiences of different sizes. 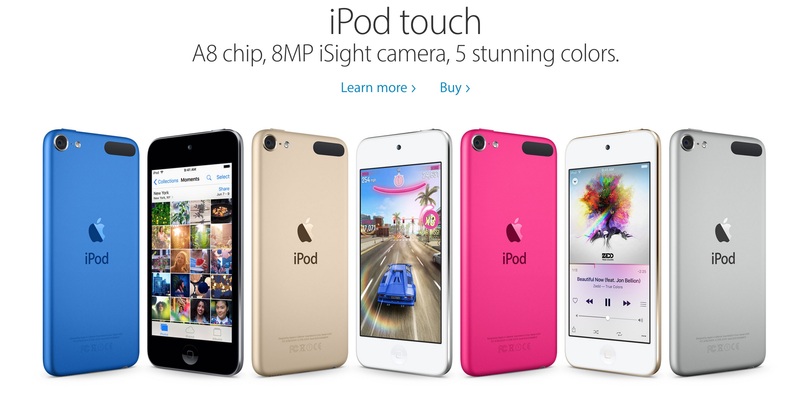 Apple appears to have taken to Tumblr to start up a new advertising campaign for the iPhone 5c. The campaign is called “Every color has a story,” and the webpage called “ISee5c” appeared within the past couple of days.